Buy giant Rugby World Cup bunting for the 2015 competition at the Flag Shop. Giant Rugby World Cup 2015 bunting measures an enormous 15 metres (45 feet) in length and displays 20 world flags, one for each competing nation. 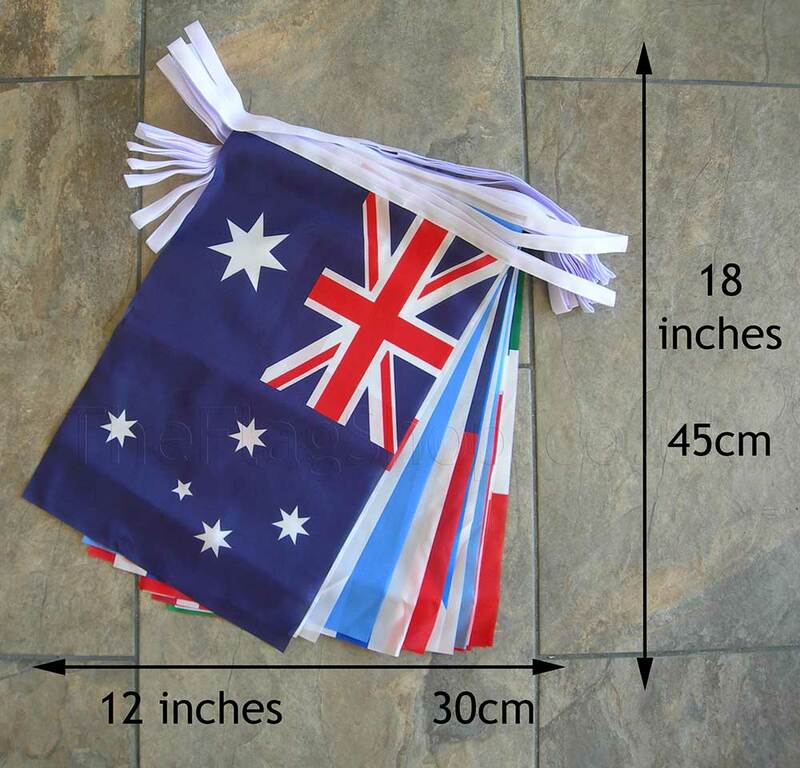 Each flag on this RWC 2015 bunting measures 30cm x 45cm (18 x 12 inches) and is made from polyester fabric. Countries displayed on the 2015 RWC bunting are as follows – Argentina, Australia, Canada, England, Fiji, France, Georgia, Ireland, Italy, Japan, Namibia, New Zealand, Romania, Samoa, Scotland, South Africa, Tonga, Uruguay, USA and Wales. The Rugby World Cup 2015 will be jointly hosted by England and Wales.